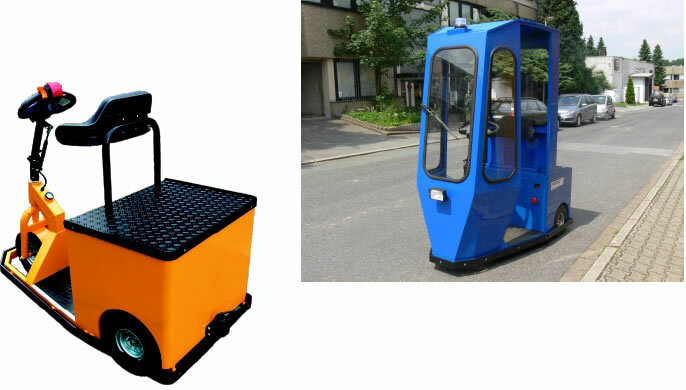 „Minitrac“ electric van and small tractor. 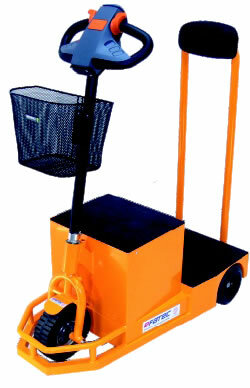 Electric van with trailer loads of up to 250 kg. 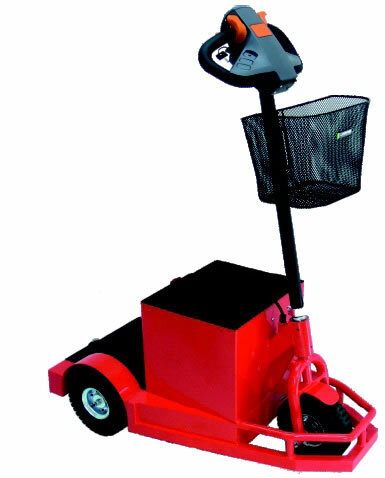 The “Worker S” is a stern driven electric vehicle, which is great for trailer loads up to 600 kg is. 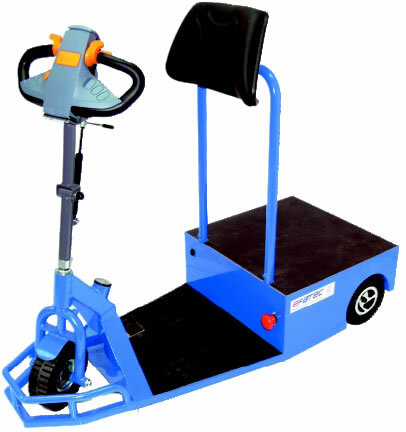 The “Worker S” ist with a turning radius of 0.9 m and a speed of up to 10 km / h, the car is very agile and manoeuvrable. A battery capacity of up to 135 ah enables extreme ranges. 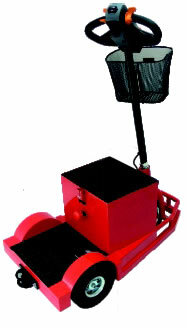 Removable battery system is available at extra cost. The lid of the battery compartment serves as storage. 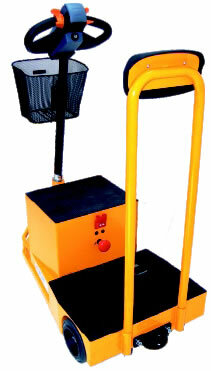 The load can be a maximum of 100 kg will be charged. 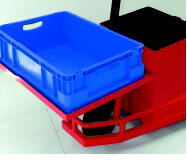 In addition, an optional transport frame is available, witch can be loaded with 40 kg. 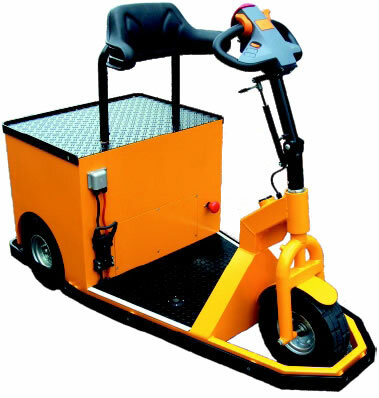 The „Worker“ is a stern driven electric vehicle, which is ideal for transporting small loads suitable. 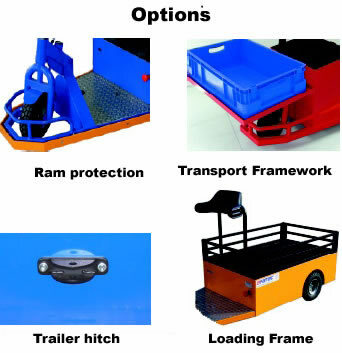 It also allows the optional hitch, trailer loads of up to 300 kg to move. 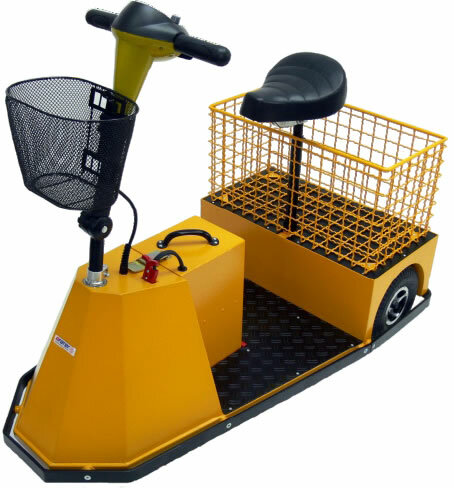 The „Worker“ ist with a turning radius of 0.9 m and a speed of up to 10 km / h, the car is very agile and manoeuvrable. 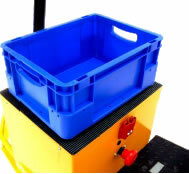 A battery capacity of up to 135 ah enables extreme ranges. 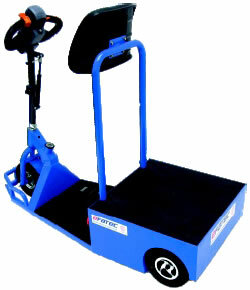 Removable battery system is available at extra cost. The lid of the battery compartment serves as storage. 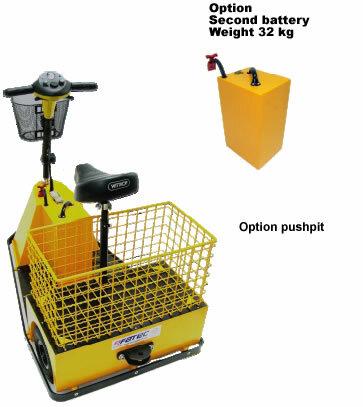 The load can be a maximum of 100 kg will be charged. 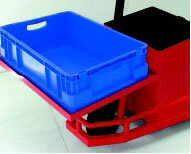 In addition, an optional transport frame is available, witch can be loaded with 40 kg.